Erected by Margaret Lunn in memory of her beloved parents and brother. John Lunn died 18th December 1900 aged 87. Wife Mary Laing died 28th July 1896 aged 76. 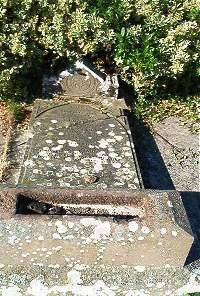 Son James Lunn died 1st December 1900 aged 56. Son Robert died 2nd April 1847 aged 3. Daughter Jane Lunn died 4th August 1918 aged 66. Daughter Margaret Lunn died 15th June 1931 aged 72.